For some women, no amount of exercise and diet can help them lose weight, and it is a mystery why some fat still accumulates on their arms and legs. While often mistaken for obesity or even lymphedema, the irregular distribution of fat beneath your skin, usually in the buttocks and legs is called lipedema, and what often begins as a cosmetic concern can morph into cause pain and other major health problems. Although rarely spoken about, the disorder lipedema actually affects more than 370 million people around the world, most of them being women, although it can strike anyone, and it does not matter if you are thin or obese. It is a chronic disorder that affects the legs and arms and causes an abnormal accumulation of fat cells. This produces a noticeably disproportionate appearance and the debilitating condition can trigger not just pain but emotional distress. In fact, lipedema is commonly misdiagnosed as weight gain or lymphedema. The diagnosis of lipedema has to be done on a clinical basis by an expert such as Dr Puneet Gupta. Lipedema gives the sufferer distinct “tree-like” disproportion of the legs, where the fat fully envelopes the thighs, knees, calves and ankles. There is often a cuffing that occurs around the ankles that does not affect the feet, resulting in the nickname “cankles”. The main characteristics that can occur are lumpiness and cellulite. At an advanced stage, there is a real possibility the arms will also be affected in a similar manner. Symptoms include pain, tenderness, decreased mobility, numbness, heaviness and easy bruising. To ensure more can be done to treat and manage the condition, and for a better long-term prognosis, early diagnosis is crucial. Generally, no amount of diet or exercise can stop or prevent it; the disorder typically becomes present in an individual’s teenage years and then becomes progressively worse. Dr Puneet Gupta is one of the finest surgeons today and one of few trained to perform a specialised technique called microcannular liposuction, also known as tumescent liposuction. The tumescent technique, which Dr Gupta learned under the tutelage of the man who invented it, is one of the most effective treatments for lipoedema sufferers. Tumescent liposuction uses local anaesthesia, usually the pain-reliever lidocaine, and epinephrine, which shrinks blood vessels and minimize bleeding. The mixture is injected under the skin and causes tissue to become very swollen and firm, or “tumescent”. It is then easier to separate the fat tissue from other tissue and remove it much more easily. Once the medication has taken effect 1-1.5mm small holes/adits are made and tiny cannula ranging from 0.9-2 mm in diameter, known as ‘micro cannula’ is inserted to suction out the swollen and firm fat cells. The small incision holes are left open after the surgery so excess fluid can leak out and disperse. Absorbent bandaging is applied to help absorb the leaking fluids. 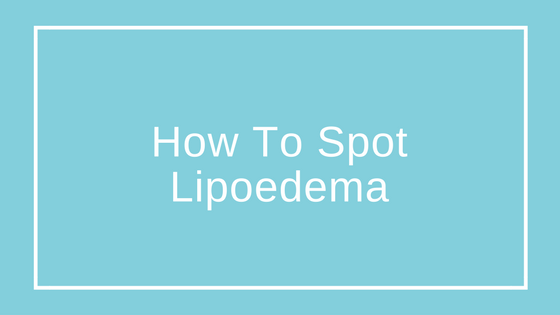 To learn more about lipedema, download our free guide to the condition and the surgery. Those who are living with this debilitating condition no longer need to suffer in silence. There is a viable and proven alternative that will change their life from a physical perspective making mobility much easier and have a positive impact on their emotional and psychological well-being. Talk to Dr Puneet Gupta today for a free consultation and to find out more.